The sci-fi worlds of Jules Verne, Hugo Gernsback, and H.G. Wells were initially inspired by the Industrial Revolution in the late 19th century, while their books sparked the imagination of future generations. Fans of these authors are usually prone to develop peculiar interests in science, technology, and invention. 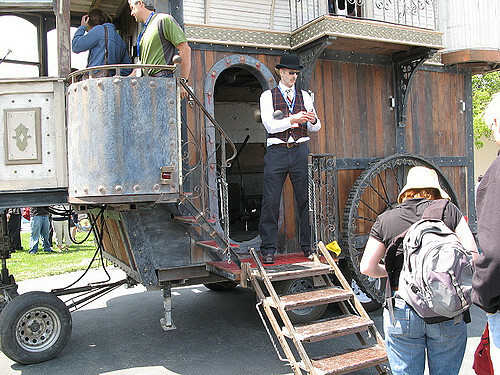 For example, in 2006, a team of steampunk enthusiasts created a self-propelled Victorian house. 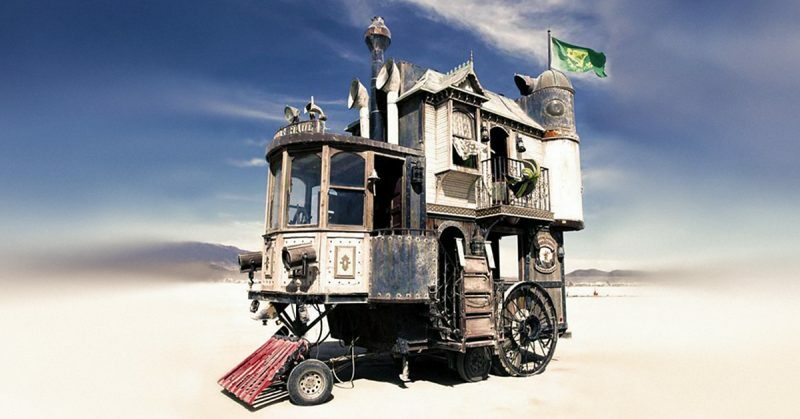 The design was inspired by Verne, Wells, and Neal Stephenson’s Snow Crash, published in 1992, which briefly mentions a mobile Victorian home on tank treads. 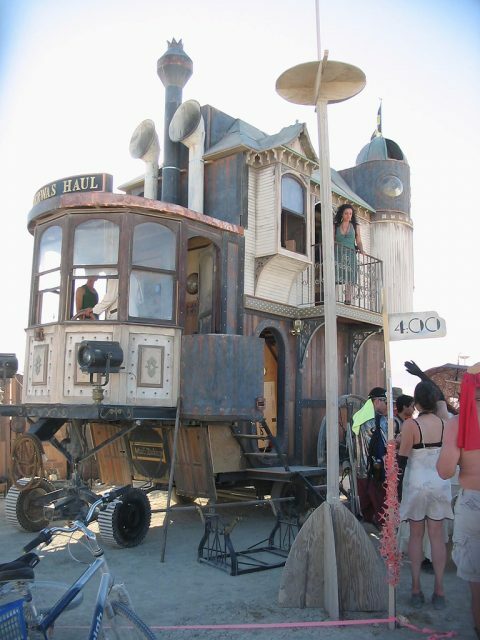 This colorful house, “The Neverwas Haul” is a three-story home construed of 75 percent recycled materials and it is filled with a considerable assortment of curiosities collected on the numerous trips made around the world. One such item is a camera obscura from the 19th century. The engine is built on top of a fifth wheel travel trailer which brings its size — 24 foot long and 12 foot wide — to fit the legal highway height and width. The initial idea was for it to function on steam and a boiler was installed, but unfortunately it didn’t work well. Instead it now has a single cylinder diesel engine which drives a hydraulic pump, and it is maneuvered using a wooden ship’s wheel. 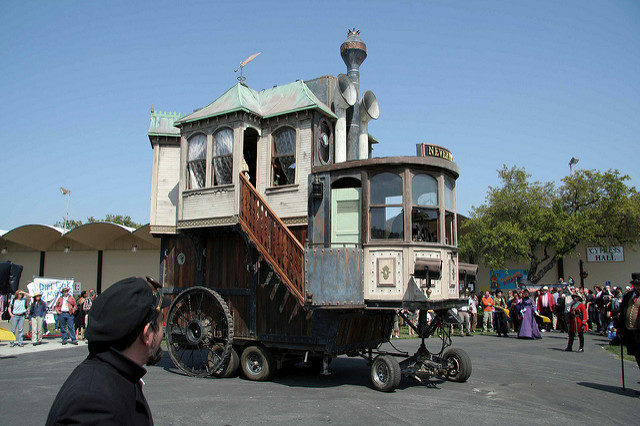 Originally, The Neverwas Haul was created by the Academy of Unnatural Sciences of Berkley, California, for the Burning Man festival in the Black Rock Desert where it perfectly fits among the hundreds of peculiar oddities exhibited each year. The vehicle has three main sections: the engine room, the parlour, and the command deck with the controls for operating. Additional cargo is placed in the engine room where there is enough space for six people. This Victorian house has also a bar and a library. It is kept alive by frequent travels and reconstructions. 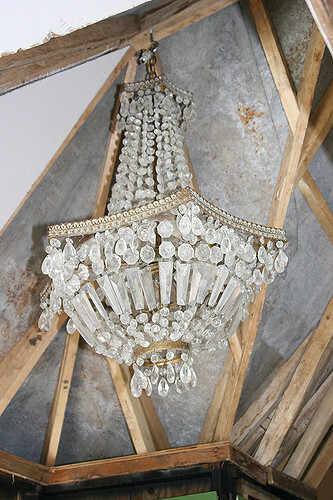 The original design never changed, but worn-out pieces are regularly replaced. 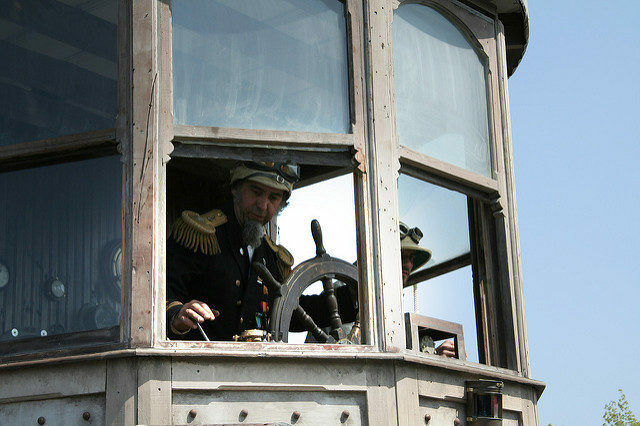 The captain who commands the wooden wheel is Shannon O’Hare, along with Kathy O’Hare on board. Shannon wears a 1927 U.S. Navy officer coat and is also known as Major Catastrophe. He has more than 25 years of experience in designing theme-park constructions all around the U.S.
For the Neverwas Haul, Major Catastrophe was assisted by a team of twelve other people in the construction that lasted for six months. The creators imagined the concept for the Haul as the home of Irish Gypsy women who move around with their families while their husbands roam the lands exploring, fighting battles, or even selling their horses to buy alcohol. Instead, it travels around with the will of Major Catastrophe — maybe to very unusual places where modern engines can’t go — where he collects all the strange objects with which his Victorian home is filled. When the Haul is not stationed and exhibited for amusement, it travels towed, with the two top stories paced down so that the engine can be transported safely. It usually moves at a speed of about five miles per hour. Interestingly, the Haul had a predecessor – a wooden Victorian clock tower built a year earlier. 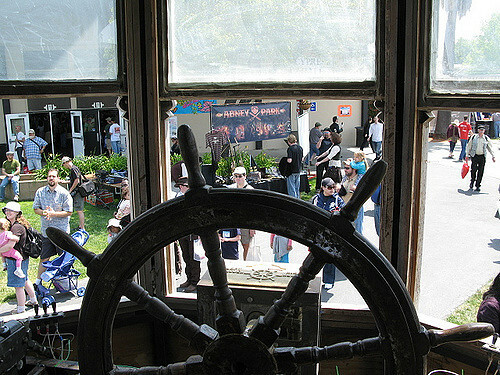 It all started when a group of people gathered together to build various steampunk engines. Before this, the Burning Man Festival didn’t have a steampunk section. 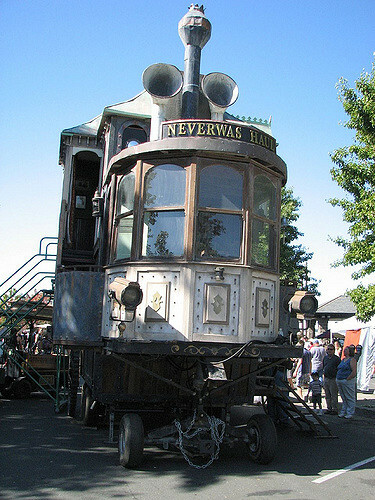 Because of the popularity of The Neverwas Haul, O’Hare and his team have created several similar structures, including a steam-powered carriage, named The Parlour Car – a replica of the famous San Francisco cable car.